Argyle Fox loves to play outside, but because of the wind, all the activities he tries get ruined. Just when he's ready to give up, his mother encourages him to use his creativity and problem solving skills to come up with something to do that will work with the wind. While most adults will quickly figure out what Argyle is going to come up with, it is still a pleasure to see the little foxes' excitement and ingenuity on display as he uses all his previous toys to create something new. And when he turns around and helps his friends to find fun too, it's all the better. 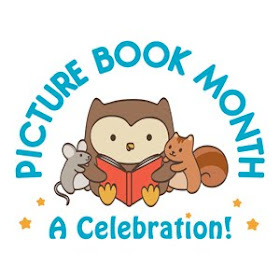 Themes of imaginative play, problem solving, friendship, and weather make this book perfect for a wide variety of story times. And the "WOOSH" of the wind makes for a perfect opportunity to get children interacting with the story. I have a special place in my heart for narrative nonfiction. I just love learning about real people, places, and events in story form. This beautiful book tells a year in the life of a young female fox and her family. The book gives a glimpse into what it's like to be a red fox. Hunting, having a family, and running from danger all appear, giving the reader a chance to enter the world of a fox. This book would work beautifully for a story time about foxes or even for reports. Extra information about foxes as well as a glossary and further resources finish off this solid, beautifully illustrated book about foxes. I can honestly say I know more about foxes now than I did before I picked up this book. I love foxes! I got The Christmas Fox for my kids at Christmas time and they loved it. 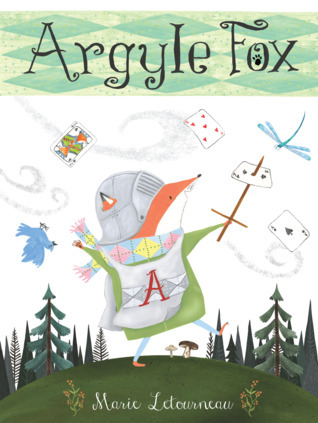 Argyle Fox looks so cute I might die of cute-overload! 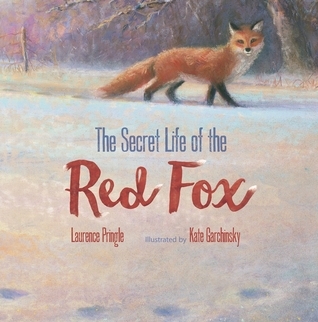 And The Secret Life of the Red Fox sounds like an awesome book. My kids love nonfiction like this and I bet they would like it.